Welcome to the official page of the Cannolo Award! What is the purpose of the Cannolo Award? Preserve authentic contemporary (continental) Italian food. Who is eligible for the Cannolo Award? Everyone blogging about authentic Italian food (not just those who were born in Italy), in the English language. 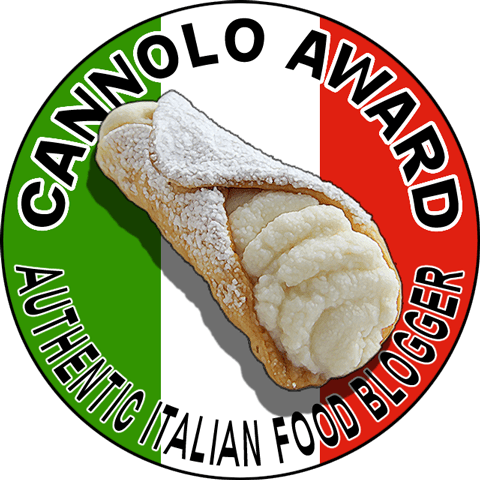 The Cannolo Award can only be given to Authentic Italian Food Bloggers by another authentic Italian food blogger. Why is it just for Italian food? Because it started that way, but it doesn’t have to stop there! If you agree with the philosophy, then please go ahead and create your award! For instance, if you are an Authentic Japanese Food Blogger, then create the Wasabi Award and give it to other authentic Japanese food bloggers. If you are an Italian-American Food Blogger, then create the Spaghetti With Meatballs Award and give it to other authentic Italian-American food bloggers! I am a Cannolo Award winner, how do I display it on my blog? Please change the ‘width’ to match your sidebar. Click here for higher resolutions. If you received a Cannolo Award and you’re not on this list, or if you wish to be taken off, please Contact Me. If you think you deserve the Cannolo Award, make yourself known! I am honored to be part of the list: thanks to Pola and to you. Thanks so much for the award. I am familiar with a couple of these other blogs and consider myself to now be in great company. Grazie, Paolo. I am honored to be on this wonderful list. grazie mille Paolo. sono onoratissima! Absolutely – you very much deserve it! I've already added you to the list. Congratulations! I would love to be included in this award since my blog is titled NYC Style and a little Cannoli. I write about Italian food since I am 100% neopolitan and cannoli is one of my fave desserts. Hoping someone can nominate me!! Thank you so much! Just love the award button…so adorable and well I do love cannoli! The button is added to the blog! Looks great!! Thanks so much for displaying the logo and for linking back to here! Congratulations again! My pleasure, Gino, your articles on authentic Italian culture and food are fantastic pieces. I'm going to go in order and read them all! Much deserved Christina, thanks for helping the cause! Thank you so much fo my Canolo Award Paolo. It's wondeful to be listed with such fantastic Italian food blogs. I love cooking authentic Italian food and its so nice to be noticed. Hey Paolo, i'm an italian foodblogger too. Here's my blog http://blog.cookaround.com/tiramisu1/en/. I'm from Rome and I post all my recipes in english too in order to spread all over the world our amazing food tradition.I really would love to be included in this award. Hope to hear you soon. Absolutely Marina! Welcome and congratulations, you definitely qualify for the award! Looking forward to getting to know your blog. Ilaria, of course! I'm very happy to have discovered your blog – I especially love your Tips and Tricks. Keep up the good work! Ciao Paolo! I'm a Canadian expat living in Tuscany who blogs about Italian food (Authentic recipes only – did you know parmigiano doesn't come shaken out from a green, plastic canister? Mind blowing!) and places to see, things to do, etc. And OK OK – I admit, I do post recipes that remind me of home (I'm only human) on occasion. May I be included in this award to proudly display my Cannolo? Hi Hayley, I love your blog! Absolutely – congratulations on your Cannolo Award! Ciao Paolo! I love this initiative. I saw a Canolo award on another site and had to find out what it was all about. What a great way to support fellow bloggers. I run an Italian food blog as well: http://www.anitaliancanadianlife.ca and I post all the traditional recipes from my family and my husband's family. I'm trying to write down all my family recipes so they don't get lost over time. 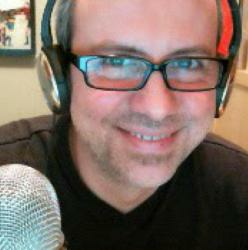 I would love to be included on your list. Cheers! Hi Laura, absolutely – much deserved! Congratulations on your Cannolo Award! You are very welcome! It's my pleasure, very happy to have found your blog. Thanks for helping make the true food of Italy more known to the rest of the world. Thanks so much! The award is already on my website. I saw my name on the list but the link isn't working? The flag is reversed because my husband had the vespa going the other direction but I wanted it where it is now…so he reversed the logo…LOL. You are the first to actually notice that! LOL =) Thanks again! Well deserved! Thanks so much for spreading the word! Che bella sorpresa, Paolo! A very nice way to start my week – thank you so much. And thanks for the directions as to how I can add it to my blog page. I will do that as soon as I can! Ancora una volta, grazie mille. Sorry, I think my theme here was converting straight quotes into curly quotes – it should now be fixed – can you try again? Congrats again and thanks for displaying the logo! I see it! Glad it worked 🙂 Congrats again! Thank you so much for putting my blog on the list. Here’s to promoting REAL Italian food! Thank you so much Paolo! I am so new that I can’t believe you honored me with this award!Hope to get to know all other people on this list very soon! Hi Pina! Absolutely, thanks for reaching out to me. I’m going to add you to the list right away.